It’s a fu***ng see saw . Not a teeny bit of an up followed by an ever so slight nudge down though . It’s all or nothing , at least that’s how it feels at the moment. Sorry , you know me and my analogies!! I’ve been pondering this one a while. So when the man himself Ronan Keating sang to us “life is a rollercoaster you just gotta ride it ” well I see his point , you do “just gotta ride it ” not getting off any time soon. It’s just a rollercoaster is fluid and you can see what’s coming up ahead. Brace yourself for that huge dip before it happens. Hold on tight and you’re climbing up up up with the sounds of the cranking machinery in your ear. My life doesn’t feel much like that at the moment. Definitely more of a seesaw . My new house is finally coming together , it’s been a long old trek . Emotionally exhausting and hard work. It’s all coming together though. I’m back running , that’s doing wonders for my mental health . There’s much talk of plans for the future within our family. Youngest boys uni plans , teen girls post school plans ,small girls high school plans. Our plans as a family. So I was there . I was up on the seesaw of life . At the very top , looking around savouring the view. Till whatever weight was keeping the other side down disappeared leaving me back to to earth with a huge bump. No warning , no bracing for the drop. Just suddenly I’m on the floor . Makes me think of good old Alanis and her ironic lyrics ! My sister and I , despite being pretty cynical types always agree about the latter bit of this statement. No matter what , no matter what turns up to stick a spanner in the works of your life , things generally turn out ok . Something turns up and everything is fine. I don’t want to be someone who can’t appreciate the happy because they’re waiting on something spoiling it . I don’t want to be high on the seesaw unable to appreciate the view because I know at any minute it could be spoilt. I’m aware I’m rambling a little , but this was the purpose of my blog from the off. Get the thoughts out my head onto the page and work them out from there. Do you guys ever feel the same ? That when things look like they’re just chugging along nicely , things finally feel like they’re coming together something unexpected will always seem to come along and spoil it ?? I think maybe I just need to stay away from the seesaw . You need two people for that to work anyway. I’m almost 40 and have a sizeable arse ,seesaws were never gonna work for me . Maybe I should just hop on Ronan’s rollercoaster after all (not a euphemism!!) hold on tight ,deal with the nausea and scream a bit and wait till it stops . Balls….that spoils my blog title eh ?? Things have been a bit stressful here recently. Between moving house , dealing with real life human versions of JK Rowling’s dementors and basically just existing as a human are coming together to ensure I have that permanent shoulder pain , you know cos you’ve spent all day tensed up ??! I need a massage (except I don’t like being touched !) I almost wrote a big old moany post but I thought no. Let’s turn this around . Look for the gratitude , the happy moments. I’ve dabbled with yoga in the past but never stuck with it but I’m in for the long haul this time. The shoulder pain mentioned above disappears after yoga , so effective is it for releasing tension. I’m learning to breathe too. I know I know I’m fast approaching 40 I should know how to breathe by now ,but concentrating on breathing and focussing on it is helping me in other areas of my life. I’ve talked about suffering from anxiety a bit in my blog and the uncontrollable breathing I feel for days before a flair up or even during an anxiety attack is really crippling for me . Well suppose it would be for anyone ! Breathing pretty necessary. By taking control of my breathing , concentrating on it though I feel I have more power than the anxiety and it helps. It is ,in my opinion, one of the best pieces of writing around.Pheobe Wallace Bridge is an absolute genius (did you know she wrote Killing Eve too ! !talk about talent!) It’s so so moving whilst at the same time being so raw your emotions surprise you. I look forwards to Mondays currently! Ok we all know I have a bit of a ‘thing’ for Tennant ….ok ok a LOT of a thing . This series of podcasts though are just great. There are some huge names in there and my uber crush feels absolutely justified the man is witty and charming and …. Ok I digress . Who fans I recommend the Jodie Whitaker episode for a double crush. This one is as much as a surprise to me as it is you. I’ve ran on and off for years and years and years . Thing is I’m actually quite lazy so talk myself out of doing it . This is such a shame because afterwards (and recently even DURING) I really love it. Where we’ve moved to is on the edge of a pretty view which has absolutely improved my running motivation. The sunshine helps too. Long may it last . Stop rolling your eyes !! I know it sounds all touchy feely and out there but I’m really enjoying it at the moment. I’d share some of my art with you but you’ve most of you kids who could provide you with superior art but that’s the thing. It doesn’t matter even if you can’t draw or paint !! I wrote about the benefits for me here and I stand by them! So that’s where I am right now , having all these things bring joy to my life and for that I’m grateful!! Always helps during stressful times to stop and smell the roses eh?? *Should you regret it ,then sorry I’ve no hope for your soul!! I suffer with a multitude of mental health ailments if truth be told . Anxiety and occasional low mood have been around so long they’re like old friends checking in from time to time. Like an overbearing relative that irritates the hell out of you when you see them and all through the visit you’re counting down to them leaving. You DO know exactly what I mean , don’t fib! Them being old pals so long I’ve pretty much mastered the art of dealing with them . Anxiety can still manage to knock me sideways from time to time but knowing it won’t last , because it never has , helps enormously with acknowleding it’s showed up and waiting for it to piss the hell off again. Low mood similar , this too shall pass a credible mantra for me . As I always say when talking about mental health , I can only tell my story . Your experiences and techniques and symptoms will be different to mine but there’s often some kind of common ground there. More recently we have a new mental health buddy to join the crew. Our newbie being trauma related . he brings with him flashbacks and nightmares and generally being scared of my own shadow. Loud bangs , noisy sqwarky birds? ?Yep that’s going to make me jump. In the stormy weather this morning a single leaf blew at me and had me jumping , heart racing ??? Not great!! I needed a new way to deal with the bits in my brain that don’t work corectly and when Art therapy was mentioned i jumped on board. I know it sounds very touchy feely…new age …making clay out of your emotions nonsense , but for me it is a revelation. Here’s how it helps me? Expressing my emotions with art , I have been amazed at how easy I find it. The session is led by an art therapist and there will always be a theme or some kind of a prompt. Themes such as resilience , feeling lost , guidance have all come up so far. As soon as I’m hearing these themes pictures and images just pop into my head and before I know it I’m there making art!! (ME the woman who struggles with stickmen!) I’ve also been surprised the emotions it’s stirred in me I’ve been teary a couple of times. I wrote earlier in the year about how I feel like my my social anxiety has disappeared , walking into a group of strangers once upon a time would have been impossible to me . I’ve learned of late though , I really love people . I like hearing their stories and experiences and that although I am a big fan of my own company. Other people are great too!! The group is particularly nice and everyone listens and that dark humour that those of us in the know thrive on is apparent. My goodness I am a contridiction. The group setting for a chit chat before the session and then later to discuss our art is great . What I am benefitting from thoutgh is for that half hour, alone with my thoughts and my art materials I can completely absorb myself in my own emotions. Feels quite self indulgent , but for that time I am fully concentrated in expressing myself and it feels so good to be able to turn the world off for a little while. So for a voacalising feelings phobe such as myself , and a woman who LOVES an analogy this works for me. We discuss our art and what we’ve made at the end of each session (you don’t have to noone will force you) I know I’m using whatever I’ve created to discuss my internalised feelings but it’s so much easier to discuss my boat in a stormy sea than talk about how lost I feel? This is a clever one. Like i say I’m usually quite quickly inspired to create. Not too much though just get those ideas down. Afterwards though , later at home or a few days later even I can look at my own picture and almost appreciate the little touches and what they might mean. As I say this probably isn’t for everyone , but it feels like it’s helpful for me . Expressing myself without needing to look someone in the eye and talk and getting to create at the same time . Well I don’t know why I didn’t try it sooner . I have been a bad blogger of late !! My posts have been sporadic and I feel like I’ve kind of lost my voice somewhere along the way. This isn’t the first time that the dreaded bloggers block has hit so I know it’ll pass but sitting and just writing seems to have become tricky for me . I do have a lot going on at the minute. Moving house , trying to keep my mental health in a reasonable condition whilst in a stressful situations , continuing to Grab that wheel and get stuff done! Writing just seems to have taken a back seat. 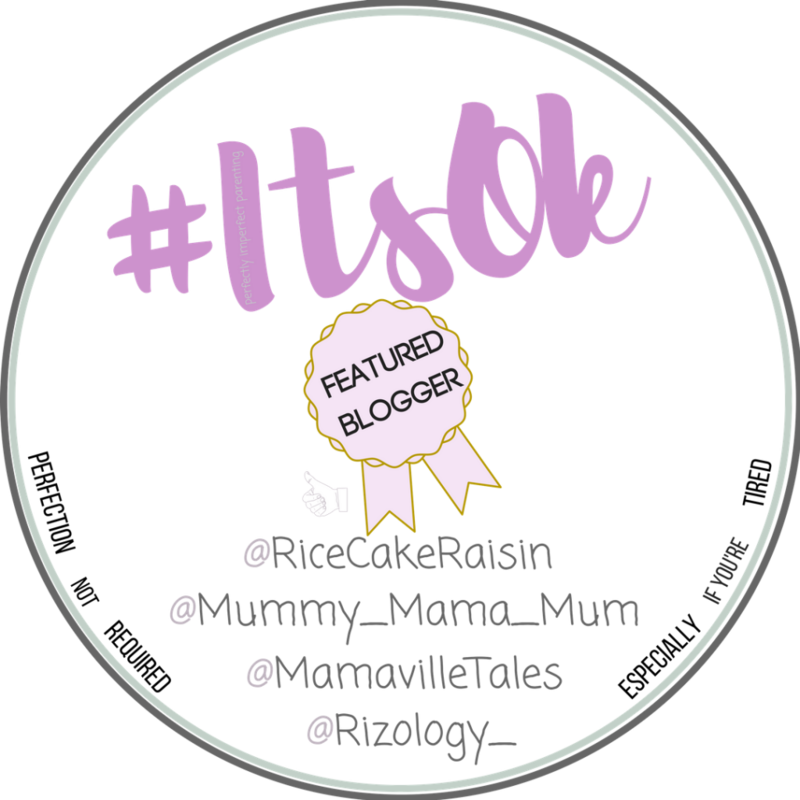 Which is a shame really as blogging and those amazing folk who read and comment on my blog do wonders for the old mental health so it really shouldn’t be the first thing to drop. I’ve mentioned before how I had some blogging unpleasantness after my blog was found by someone who didn’t like me telling my story and though that hasn’t silenced me , I am a bit more cautious . I censor myself more than usual. I read too much into my own waffle and cut and edit way more aggressively than I ever had. The reason my blog is therapeutic to write is because I never have censored myself. I tell my stories , I talk about my experiences . I sit with a notebook or a keyboard , open my mind and let the words fall out. it’s the only way I can , or know how to write. So this sanitized , over thought version of my writing is never going to work for me , or you guys either really I don’t think. When I get comments it’s usually from women telling me they feel less alone for me discussing my experiences , or that they know what I’m talking about …they’ve been there too. Whether I’m discussing mental health or parenting or domestic abuse I like that my words connect with people. They’re the kind of blogs I love reading you see. One’s that touch me , make me feel , that i can identify with. So how do I pull myself back to the girl who writes from the heart , overshares a lot and gets way more out of writing my blog when it feels free?? 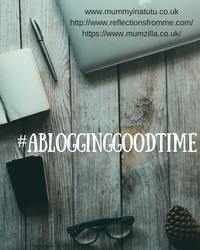 Firstly I need to actively make time for the blog. Set aside a block of time each week to look at my blog , reply to comments , join my beloved linkys , actually write . I need to then stick to that plan. I’ve always been a bit haphazard with writing and focus generally does me the world of the good. I’m going to worry less about negative voices and focus on the positives. You want to hush me then chances are you were never someone reading my blog just because you like reading my stuff. Some of you DO like reading my stuff though , you’ve told me and everything so I’m going to focus on that. I’m going to write about things I feel so passionate about that getting the words from brain to screen is no real hardship. They usually do , the posts that people seem to like. They’re the ones I’ve just brain dumped in 30 mins. Those posts that feel like hard work ?That feel like wading through treacle to get down? Well maybe those stories don’t need to be told after all. So there we have it . The plan to get my blog back to how i like it . What makes it feel like mine. A little bit waffly , scattered with rogue punctuation , chatty , raw , passionate , emotive. World Book Day…absolute pain in the arse am I right ??? All that fuss and nonsense and extra work and expense …why can’t they just encourage the kids to sit and read for an hour eh? Why oh why oh why do we have to come up with an outfit and add to our school run stresses ….drives me mad…except.. Please don’t judge me , but all that moaning there was totally , utterly fake ! My name is Kelly and I bloody love World Book Day !! I’m sorry . I know you’re going to hate me but I love every last face painting , glueing , flicking through books for inspiration of who to dress as minute of it ! The thing is my first World Book Day was over 10 years ago. It was when we were still living back home in Hull and that primary school did things a little differently . Anyone who knows me will know make anything competitive that I think I have half a chance with and I am on board , and on board big! Firstborn has been a Harry Potter nut pretty much from second he could read so there was only one costume was going to be made. You couldn’t buy the Harry Potter robes then so i made them , I added a cloak of invisibility and believe me if I could have added some kind of optical illusion to make it real I would have. I spent an hour creating the scar….and I (I mean eldest ) won! This I can only assume sparked some kind of madness in me and I have loved geting the kids dressed up ever since! I can only apologise to you for not adding pics to this post , but elder 3 are teens now and my life would not be worth living!! Teen girl was never as really into it as her brothers , she’s always been a bit cooler than the rest of us in all honesty . We’ve rocked some Malory Towers stuff though (pretty painless one!) and a rather terrifying witch. So here we find ourselves . Staring down the barrel of our last primary school bookday , and it makes me a bit emotional to be truthful. I can document in my head so many school years in bookday outfits and time spent chatting with the kids about who they would be and how we could make that costume. I am just going to say here , we make our outfits but they always slightly resemble those articles you read about people trying to recreate Pinterest masterpieces and it failing spectacularly .We did the roly poly bird from Roald Dahl one year and the poor girl looked like she was off to baby burlesque or something. Come the assembly where they show their outfits to the school my kids are the ones with a bit of their costume hanging off or smudged facepaint. That I think is the crux of it for me . The kids don’t mind their costumes that are not quite right , where mums sewing has caused a wardrobe malfunction , where the choices are so obscure them and I are the only people in the room who get the reference ( last years Pugly from Pugly bakes a cake- a pug dog cook. I glued the letters of his name on the apron but by assembly it said pug-y..) They embrace it still. They know they love their books and any character they could pull out of thin air we could work out together how to make it happen . They know mum and her huge enthusiasm ( which unfortunately is not accompanied by her craft skills) will try her best to get to a costume that we recognise! Oh and this year small girl wants to be Hermione , her favourite character ever! Easy peasy right . Borrow big brothers Gryffindor robes ( no we didn’t buy them for dress up , just day to day life!!) and easiest book day ever !! Except …she wants to be Hermione after she has drank polyjuice and is mid transformation half cat , half Hermione…..hmmm leave it with me small girl!! Last week I wrote here about how I was increasing feeling like a passive person in my own life. Always reacting to events happening to me or to those around me rather than actually making things happen! After writing it then reading it through and chatting it through with you guys who had read it I realised actually it wasn’t so much about not being in control , more to do with being unmotivated and absolutely lacking in get up and go!! Those of you who suffer with poor mental health will realise that this can be a red flag that all isn’t well in the old head! Losing interest in everything , to me certainly is a flashing red light with a siren accompanying it! Only on this occasion , thankfully, it wasn’t a signal of a mental health wobble. It was as simple as feeling uninspired and unmotivated. Nope on this one Kelly , you’ve got to get off your bum and do this yourself. The most amazing thing about this story is that I did!! One of my worst character traits , that winds me up let alone anyone around me is that I’m very much of the mindset of why do today what you can put off until tomorrow! Therefore nothing gets done until it becomes of critical importance and that’s just a very stressful way to live. Someone once observed that I spend an awful lot of time crisis managing when it’d be completely unnecessary if I just stopped bloody procrastinating! Last week i began to pull it back. I made arrangements to do things I know make me happy , make me relaxed , keep me mentally healthy. Things that have slipped by the wayside one way or another. I didn’t make excuses to myself about being restricted by time , by money, by my mental health. I just did it . I ran ,I wrote , I went back to a yoga class for the first time in years, I went to my very first art therapy sesson ( blog post on THAT revelation to come) , I’m sat here writing this post rather than draft a title and add it to the hundreds of potential outpourings currently languishing in my drafts folder. I’m not going to say doing all these things have me on fire , super motivated and out there rocking life. In fact I don’t feel so much different to this time last week. What is different though is that I’m so looking forward to the week ahead. I’m excited to get back to yoga again , to revisit art therapy , to writing some more. I’ve always been someone who needs to fill her time. The less i do , the less I’m motivated to do! So here’s to a good week …and as for the world changing super motivated and inspired stuff. Well I’m sure it’s coming . Do you ever feel like you’re a passenger in your own life? That you’re sat there somewhere in the middle of the bus with someone else firmly at the wheel steering your life from one direction to another whilst you’re just sat gazing out the window watching the scenery whizz by but making none of the decisions. People hop on the bus , engage you in small talk , some stay longer than others . Some you unexpectedly find yourself getting quite deep and meaningful with. Then they hop off back to their own lives . It’s not necessarily one person driving the bus either. It’s events , circumstance , other people’s dramas. It’s not you though , it’s never you and it doesn’t really occur to you to mind. You’ve no desire to march yourself to the front of the bus and take the wheel. In fact you’re often too busy people watching your fellow passengers to even notice this is what’s happening. Ok I’ll stop with the bus now , but I realised recently that I am way too passive in my own life. I don’t make things happen , I’m not dynamic. My life is spent reacting to situations I find myself in. Reacting to circumstances I find myself in . I want that to change. It holds me back you see . My reticence to make a decision about something I want and going out there and getting it leave me forever making plans but nothing ever coming of them. Recently I went to a workshop about goal setting and it left me really motivated and inspired. You remember I wrote a list of things I wanted to do before 40 ? It’s just here but am I out there chasing them down like a woman on a mission?? Absolutely not . I sent some enquiries re dance classes but when I heard nothing back I left it. I’ve looked at my drafts of ‘The Book’ tweaked a few bits here and there but not really done so much work. I’m not being down on myself here , really I’m not but this inability to go and grasp the bull by the horns irritates the hell out of me !! I read once how character traits that you dislike in other people are because you recognise them in yourself. It’s true. I get frustrated by people who have things they are going to do ‘one day ‘but when asked what steps they are taking to get towards these goals there are none.I see myself in this kind of behaviour. I have plans , books and books and books of plans , but rarely do I make it passed step 1!! The nonsense and excuses and procrastinating end here! This evening I will watch my trash TV once a good 500 words have been added to ‘The Book’ . It’s not many , but this everyday will add up. Let’s go grab that wheel and steer towards productivity and see what a journey we can have !! Just as a positive aside to disliking negative character traits you recognise in yourself , it works the other way round too. Character traits you find attractive in other people are often ones you recognise in yourself . That’s a nice thought isn’t it !! Right , stop trying to distract me I have work to do!!!! Well….sniff…here we are …sniff..the last ever BlogCrush . I’ve only been hosting the past few months , bit I’ve been a BloCrush-er from the off. Its been so great reading all your amazing posts and I will continue to do so because you’re all a very talented bunch. and let’s make it a good one !! Thanks so much for all your brilliant work!! Still having tech difficulties here so please head over to Lucy just here to add your link and hear some big news !! Thanks so much for heading over , cannot wait to read your posts as always!!! Hey gorgeous #BlogCrush folk . We’re having a few technological problems here currently (bloody technology!!) 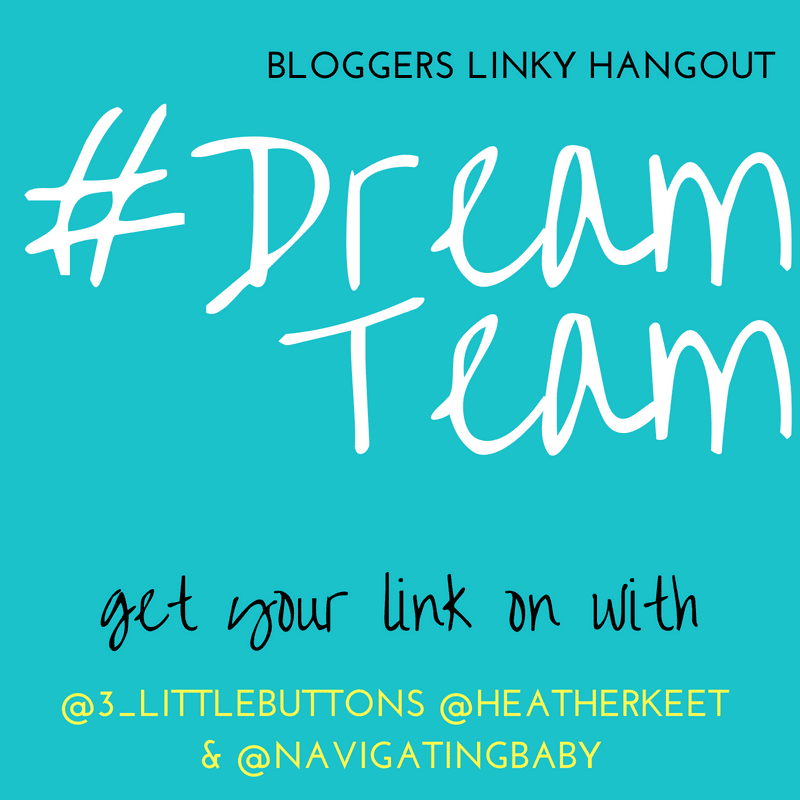 so if you wouldn’t mind hopping over to Lucy to link up this week that would be fantastic!! Whilst I have you can I just say a huge thank you to everyone who joined in with us last week , it was a massive Blogcrush week and I loved reading your posts! !